What have a sleeping giant Wild Boar, a mystical standing stone and menacing hills shrouded in a swirling ethereal mist got in common? Game of Thrones perhaps? Why no! – we’re merely Waxing lyrical about features of interest that our army of walking warriors enjoyed as they braved the elements to walk, jog and even run the Caerphilly Challenge Series ‘Wild Boar’ 2014. A fantastic Saturday in May saw the running (by some) of the third Challenge, a not for profit community event part funded by Ramblers Cymru’s ‘Lets Walk Cymru’ and organised by a partnership of the Aneurin Bevan University Health Board, Caerphilly County Borough Council and many others. Welcoming a record number of all-comers with our ethos of challenges for people of any ability, routes ranging from 1, 5, 9 and 14 miles, up to a boot-bustin’ 22 mile yomp through some of Caerphilly’s wild and rugged Rhymney (pronounced Rum-nee, we’re in Wales y’know) terrain were on offer, along with some amazing support and goodies thanks to our friends at Nikwax! Keen outdoor enthusiasts from all over the UK – not only South Wales, but also the Midlands, West Country and Ireland – rocked-up at the very un-Saturday time of 6.00 am, to be greeted by enthusiastic staff and free massages (not from our really enthusiastic staff by the way, from experts of course…) set to a soundtrack of foot-stomping, walking-themed, bangin’ tunes! Could there be a better motivation for our bleary-eyed, hardy Challengees nervously anticipating their various challenges ahead? Well, maybe the promise of an energy boosting cream tea, winning a box of Nikwax delights and a further free massage at the finish! Thankfully the goody bags that went home with our booted ‘Boar-bashers’ included a fantastic complimentary wash of TX.Direct, whetting (and waxing) the appetite for next year’s event. 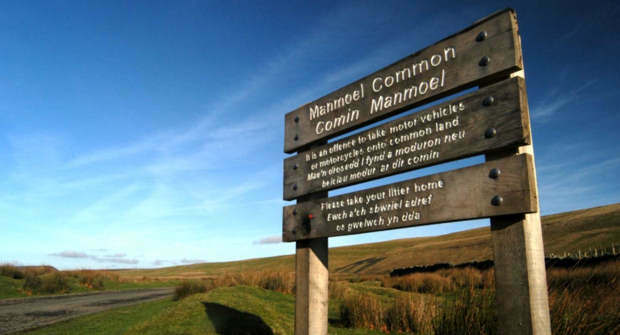 Saturday May 9th 2015 is set to see the Caerphilly Challenge Series return to its spiritual home, Twmbarlwm (pronounced tum-bar-lum, another free Welsh lesson for you guys). 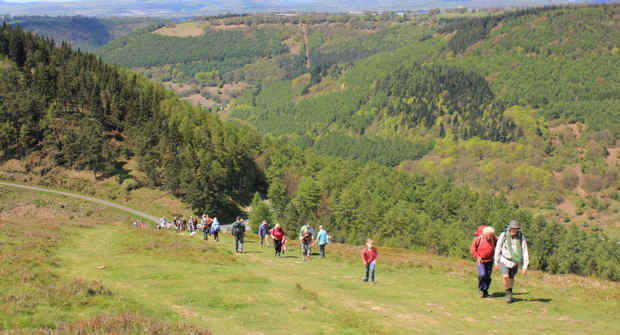 Whether its a 1 mile stroll along the Monmouthshire Brecon Canal or tackling the challenge of the 22 mile Twmbarlwm Trek, yet again we will be throwing down a walking, jogging or running Challenge to suit you – no matter how fit you are! So come on Nikwax fans, are you ready to ‘Take on the Trek’ in 2015? This Guest Blog was written by Gavin Jones, Caerphilly County Borough Council.